When my oldest was very young, she did not like to color. She didn’t really like to paint either. I even had difficulty encouraging her to just draw. Perhaps she is just too much like me. I’ve always wanted to be able to draw or paint. It isn’t something that comes naturally to me. I don’t know how to make my hands draw the lines that my eyes see. Because this is a weakness for me, I’ve had difficulty including art instruction in my home school. For the past few weeks, BooBear (age 16) and Turtlegirl (age 14)have had the opportunity to use Artistic Pursuits High School Book 2: Color and Composition. This book covers color and composition. It is not necessary to have completed book 1. Brenda Ellis writes the lessons directly to the student, making this an ideal program for independent study. There are 16 Units and each unit focuses on one particular topic such as hue, value of hues, neutral hues, balance, rhythm, or emphasis. Each unit consists of 4 lessons: Vocabulary and Creative Exercises, Art Appreciation and Art History, Techniques, and Application. The book includes a getting started section for what parents want to know, getting started section for what students want to know and my favorite section: rubrics for evaluation. I am not artist and I do not know how to grade art but Ms. Ellis includes objectives and a way to evaluate the student work so that I can assign a grade. The book contains all the instruction you need to complete the course, however, you will need to purchase supplies such as watercolors, paper and brushes. Although not necessary to purchase these from the publisher directly, Artistic Pursuits has made it convenient by providing kits for each book including the Senior High Book 2 Color and Composition. You can find information about art supplies here. Click here for the specific page for the Senior High Book 2 supply pack directly from Artistic Pursuits. This book retails for $47.95. For a complete description of the book and to see a lesson visit the High School Book 2 page of the Artistic Pursuits website. Visit the purchase page for options for both US and International ordering. The TOS Crew reviewed the different books/levels of Artistic Pursuits from Preschool to High School. Visit the Schoolhouse Review Crew blog to read what my fellow crew mates had to say about Artistic Pursuits. UPDATE: The Artistic Pursuits books have been revised! The NEW 3rd Edition has added lessons. Check out my review of Book 1 The Elements of Art and Composition for more details! Thanksgiving is over but the Gratitude Challenge continues (at least for me!) though the end of November. I am thankful for the long holiday weekend. I didn’t realize how much I’d been pushing myself, or the girls. I didn’t realize how much stress I had been heaping upon myself or my family. It was wonderful to take several days off and just hang out as a family. We didn’t have a fancy Thanksgiving. In fact I wasn’t too pleased with how my stuffing turned out and I messed up the cranberry orange relish but I loved having my girls helping out with the dinner process and hanging out and playing games. Tailorbear helps get the turkey ready! She asked if she could do it and I was happy to let her do the job. <shh> don’t tell her but it’s really a job that nobody wants. She seemed to enjoy it though and I am grateful for her help. With all the cooking going on I did not want to make breakfast. Turtlegirl and I picked up some caramel apple rolls for a quick light breakfast. Of course no one could eat until the Turkey was started in the roaster. I treasure the memories that we make as a family. Hanging out, playing games, snacking on homemade Chex Mix, then enjoying a feast of good food, it doesn’t get any better than that! I love Thanksgiving. It’s not the food (though I love the food! ), it’s the memories. It’s creating new memories and reliving old memories. I remember the very very long drive when I was very very little to get to Grandma’s house to spend Thanksgiving with Grandma Elsie and Papa. I remember eating lots and lots and lots of olives. I still love olives. It isn’t Thanksgiving without a relish tray with olives. After my grandparents moved “back home” to Kentucky, we didn’t spend Thanksgiving with them anymore but my parents still made it special. My mom always made a turkey and to this day I still crave her stuffing. My homemade stuffing is basically my tribute to my mother. It’s simple but well loved. Each of the last 18 Thanksgivings have been wonderful even if I can’t remember each one exactly. Honeybear and I had been a couple for nearly a year when we celebrated our first Thanksgiving together 18 years ago. (Tomorrow will be the 19th Thanksgiving that we’ve had together and we’ve never missed one! That is incredible considering he was active duty military for the first 10 years of our marriage!). 17 years ago we celebrated our first Thanksgiving as a married couple. It was just the two of us. I roasted a chicken instead of a turkey. A year later we celebrated thanksgiving with a couple of other military families and a baby Boobear joined us. Two years later we spent Thanksgiving with family. Baby twins held everyone’s attention. We had so much to be thankful for that year. Supergirl had survived against all the odds but she still had a long, hard road ahead of her. Tomorrow, my husband and will celebrate our 19th Thanksgiving together. I’m looking forward to a fun day with my family. A few years ago we started playing board games all day. The girls have already been planning which games we’ll play while the turkey cooks. I have much to be thankful for this year. My husband is still employed. Supergirl continues to do well with heart and other health issues. The other girls are, for the most part, healthy. We have a roof over our head, food to eat, clothes to wear. We are abundantly blessed with wonderful friends. May God bless each of my dear readers. Happy Thanksgiving! I think I've said it before and I know I wasn't the first. Children learn through play. A child's job is to learn and their work is play. Learning to read is hard. It's work. The Reading Game by Kenneth Hodkinson "transforms rote learning into a fast paced game" (Teacher Guide). The Reading Game uses a concentration/memory game as fun way to drill whole words. You can use this product to teach phonic rules and patterns as well after the students have mastered the 180 word vocabulary. Suggestions for how to incorporate phonics into the game are included in the The Reading Game Rules and Teachers Guide. Visit the How It Works page to learn more about the background and approach of this supplemental tool. For 2 players ages 4+ (one player must be the tutor), The Reading Game retails for $24.95. The Reading Game also provides teachers and home educators assessment tools/worksheets. They also offer FREE downloads. What I liked: Supergirl enjoys playing the game and she is learning to read these words. I like that the goal of the game is to get students to read real books. I like that she is gaining confidence. I loved seeing the look on her face when she read a sentence using the words she had learned. She needs to have a multidiscipline approach to learning to read and this idea of “hard wiring the words into memory” works well. I like the idea of having an assessment tool that I can use to test Supergirl before we start a new word pack and after we’ve worked with those words. What I disliked: I’ll preface this with perhaps I don’t understand Mr. Hodkinson’s reasoning about punctuation. Perhaps, I’m just too used to seeing correct punctuation, but, in the end, the reality is I disagree with the idea that punctuation marks are “mysterious squiggles and dots.” I found it more confusing to NOT have proper capitalization and punctuation and I’m concerned that it will be more confusing for Supergirl because she is familiar with punctuation marks and she is learning that every sentence starts with a capital. I also didn’t care for the approach to phonics. Thoughts from Supergirl: I like it. I read. I read sentences. I play the game to learn to read. There is [the word] fun in the game. There is and, and play in the game. There’s to in the game. [Mom’s note. She is listing the words she has learned in Reading Game] It’s a good, good, good game. And it’s fun to play it. You read books about a cat. My Thoughts: As a supplement this has been a great addition to our learning to read process. I don’t think this approach would have worked well for BooBear when she was 4. I think it works great to build fluency. Drilling words using cards has been an effective way to help struggling readers build fluency. With that in mind, it has been great for Supergirl who has learning issues and it would have been great for BooBear around age 7. Turtlegirl was an early reader and I think she would have done well with this at age 4. Visit the Schoolhouse Review Crew to read more reviews! Another Multiple Day Gratitude Challenge post because I just can’t seem to make myself post everyday. I think I have a good excuse for yesterday though. It was my anniversary and I had lots of things to do. So let’s see I posted on 11/17 with 7 Days of thankfulness. 18, 19, 20… that’s 3! Day 18 (item number 1): I am very thankful for the TOS Review Crew. Through the Crew, I have the opportunity to review some really great products that I just would NOT be able to afford or justify the expense. I think the Time Timer is a great tool for Supergirl but I don’t think I could have justified spending $30 to try it. It’s good for her and I am thankful we received it through Crew. Day 19 (item number 2): I’m thankful for my husband. November 19 is my anniversary. I’m thankful for 17 years of marriage. Day 20 (item number 3): It was a frosty, cold, but beautiful day. Someone at church labeled it “a perfect winter day”. I was very appreciative of the beautiful sunshine today. It helped make a very LONG day at church much more pleasant. And I’m thankful for my daughter, Supergirl and complete honesty. Today was a very long day at church for her. Sunday School, Divine Liturgy, Coffee Hour, special Vespers service and then she still had to hang out while the rest of the family cleaned the chapel. She had to go potty during Vespers. She returned just as it finished. There was complete silence in the chapel and she calls out “Is it all done?”. Even our priest chuckled. We’re not sure if she was happy it was all done (long day remember) or if she was upset that she missed the ending. She does love church! What are you thankful for today? Come join Brenda’s Gratitude Challenge over at Garden of Learning. Supergirl struggles with the concept of time. She’ll come to me and beg to be allowed to watch some program claiming that she hasn’t “seen it in years”. When she discovered the word “weeks” everything was measured as 2 weeks. Mommy and daddy have been married for 2 weeks. It’s been 2 weeks since we last saw Nana. Telling Supergirl that she needs to play quietly by herself for 20 minutes became an exercise in frustration. I’d set the the timer and every couple of minutes she’d come to me with the timer to ask me how much time is left. We needed something to help her grasp the concept of short increments of time. To help her grasp the idea of time elapsing. I admit that I can be overly emotional at times but I don’t usually cry over a review product. As I looked over the website for Timer Timer and filled out the form (for the Crew) expressing interest, I cried. This sounded so perfect for us! The disappearing red disk allows students to "see" time without knowing how to "tell" time. The Time Timer is perfect for setting time limits, managing transitions and training students to make better use of available time, making every moment count. Everyone in the family was excited to try this different looking timer. Supergirl got to try it first. I explained that she needed to read her book until the red area was all gone. Yes I did tell her that it was 20 minutes. She did NOT come ask me how much time was left. There was a time or two that she declared that she was done but I pointed out that there was more red left so no, she wasn’t done. The rest of the family, especially my husband, was quick to point out that the optional audible signal was NOT loud enough nor LONG enough to really be useful. I found that I could not use Time Timer for myself because I would forget about the time and I need a loud, long ring, buzz or beep to get my attention that I need to stop what I am doing. Although I would not recommend this timer for someone who needs an auditory reminder, this has been a great visual tool for Supergirl. When I need her to do an activity independently for a specified time, I can set her up with the Time Timer and not hear “how much time is left, Mama.” She knows that she has to “look at books” or “play quietly” or “work on puzzles” until all the red part is gone. She can SEE the red area become smaller and smaller. Time Timer is available in 3 sizes: 3”, 8” and 12”. The 3”, which I received, retails for $30. You can read details about these 3 timers here. Time Timer also has watches, puzzles and software apps. In fact some of my crew mates had the opportunity to review the Ipad app. Time Timer has many uses in Education, Business, In Special Needs and in Everyday Life. Click on the banner below to read what my fellow crew mates had to say about the Time Timer. All information is correct and accurate as of the date of this review. I missed so many days in this Gratitude Challenge that I started to think I would just give up and not bother finishing the challenge. I think It’s been at least a week since I posted a Gratitude Challenge Post. Let’s see seven days so I’ll come up with at least 7 things to be grateful for! 1) I am thankful that we are two working vehicle family. Notice the WORKING part the description. A year ago we owned two vehicles. Only one of them worked so we were basically a one car family. I value having a working van so that when we run out of toilet paper (how did that happen? UGH) I can run to the store. Having two vehicles means the girls and I can participate in Bible Study and some weekday services at church. It also means that the girls get to go to piano lessons. 2) I am also thankful that despite being hit so many times with illness in the past two months that the girls are working hard to get on track so that all our lessons will be done by the end of June. They appreciate having a summer vacation and they know that if we don’t get the work done NOW it will still need to be done sometime. 3) I am thankful for E-mealz. Thanks to E-mealz I did not have to think about menu planning or or put any extra effort into making a grocery list when I was so sick with this cold. If you haven’t read my review of e-mealz then you can click here to find it. 5) And speaking of the TOS Crew, I am thankful for a little mini-break I’ll be getting in December. I’ll have a couple of weeks here and there with NO reviews due! I’m looking forward to being able to enjoy the 12 days of Christmas with my husband home from work without having any reviews due while he is off! Thank you, Brenda! I know you worked hard to make that happen! 6) I’m thankful for spreadsheets. Yes, that’s weird. My spreadsheets are helping me keep track of our family budget. I also use excel to keep track of review post due dates. I should have put Gratitude Challenge posts on my spreadsheets! Thanks to my friend Debra, I think I’ve become addicted to spreadsheets but I think it’s a good addiction and I’m grateful that I’m learning how to use them. 7) And last but not least. ..oh wait that is how the saying goes but I think this is least <grin> I’m thankful for Coke. Yes, that carbonated, caffeinated, really bad for you beverage. I no longer keep it in the house but I do indulge every now and again. And since I had to run to the store to buy toilet paper (who, in their right minds, lets toilet paper get down to 1 roll for 5 females before restocking? Oh, me. that’s right.) I got myself a Coke. What are you grateful for? Click on the button above if you want to join in Brenda’s Gratitude Challenge over at Garden of Learning. I had stated that I would announce the winner by a certain date and time. Unfortunately, I missed that date and time. I have a really good excuse. My family has been hit with yet another virus! I’m feeling better today but the last two days I’ve been pretty miserable. I’m still not over it but at least I am slightly less congested and my throat doesn’t hurt as much. But enough about me! Congratulations to Carrie! Carrie will be receiving a copy of the movie Christmas Lodge. I’ve already confirmed Carrie’s mailing address and notified my contact at Propeller (many thanks to Propeller Marketing for giving me the opportunity to review the movie and host a giveaway!). Congratulations, Carrie! I hope you and your family enjoy the movie as much as my family has enjoyed it! For high school students planning on attending college, the SAT could be the ticket to gaining admission to the college or university of choice. It can also mean money for college in the form of scholarships. Because this test is so important, many students spend hours studying. Being prepared to take the exam can relieve some of the stress of taking the SAT. As a member of the TOS Crew, I received College Prep Genius DVD Set to help my high school student prepare to take the SAT exam. The complete program retails for $99.00 and includes: College Prep Genius 2nd Edition Textbook ($49.95), Workbook ($19.95) and DVD ($59.95). Purchased individually these items would cost $129.85. I like how the program explains the purpose of the SAT test. The SAT is a logic or thinking test not a fact test. Knowing that helps me to understand how to study. I like how the program is laid out. I read the sections in the text book, then I watch the DVD. I didn’t do this part but I want to start making my acronym cards while working through the text reading so that I don’t lose a day making the cards to memorize. When I’ve memorized the acronyms for that test section, I work through the practice test in the workbook. After working through the workbook, I plan on going to the College Board site and taking practice tests. I’m really glad to have help coaching me for the SAT. I wish we had known more about the PSAT and National Merit Scholarship sooner. I love that College Plus Genius’s SAT Prep course also prepares students for the PSAT. Turtlegirl (age 14) and Tailorbear will both work through this program in the future. For homeschool students planning on taking the PSAT/NMSQT and/or the SAT, College Prep Genius 2nd Edition is an excellent choice for preparing for the exams. Visit the Schoolhouse Review Crew blog to read what my fellow crew mates had to say about College Prep Genius. Some of us reviewed the SAT DVD Prep and some reviewed the Vocab Cafe Series. I missed yesterday. So I’ll just give a simple one sentence for yesterday. I am thankful for my husband. He loves me. Even when I’m not so loveable. Ok so that wasn’t one sentence but it is pretty simple. He loves me and I am thankful for him and his love. I am amazed at the sunshine that I have had this week. Very unseasonable. I think I said that already. But still sun in November is a gift and so I say thank you! Today I am also thankful for lots of apples in the house and for teens who like to bake. We’ll be enjoying an apple pomegranate crisp tonight. I’m thankful for Bountiful Baskets produce co-op (that’s where I got my apples and my pomegranates). I am thankful that, although I missed out on the tangerines this week, I was still able to “order” two conventional baskets. I wonder what yummy things I’ll find in my baskets when I pick them up on Saturday..
What are you thankful for today? Check out Brenda’s 2011 Gratitude Challenge over at Garden of Learning. I am thankful today for unseasonable weather. Sounds bizarre doesn’t it? November here is usually not so cold but it is dark, dreary and rainy. Temps usually in the 50’s. Today was cold. On the way the church the bank sign read 31 degrees. Yup. It was below freezing. On the way home from church the same sign read 47 degrees. It had certainly warmed up! I didn’t mind the cold. I wish I had grabbed a winter coat rather than my heavy fall sweater but I didn’t mind the cold. I don’t like cold. But there is dry cold and there is PNW wet cold. I don’t mind dry cold. Dry cold means I can drink hot tea and snuggle with blankets and I can find a way to get warm. Wet cold? That’s the kind that chills you to the bone. The kind that gets inside of you. Hot tea, hearty soups and other warm liquids help but even with layers of sweaters and fleece throws I can still feel the cold. Today was not a wet cold. It was cold. I didn’t like it. But there was a wonderful reason for the chill in the air. The sun. The beautiful ball of gas that gives life to our planet was shinning in the clear blue sky. Clear Blue Sky. Are we sure it is November? Are we sure were talking about the Pacific Northwest? Clear blue sky with the sun shinning? In November? In the PNW? Very strange. But I loved seeing the sun and so I didn’t mind freezing as I walked back and forth from the chapel to the parish house with Supergirl who insisted she needed to go to the bathroom again. The sun shining is rare treat and I treasure it. So today I am thankful for an unseasonably sunny day! What are you thankful for today? Want to read others are thankful for? Come link up at Brenda’s blog, Garden of Learning. Today I am thankful for the short time that I knew Alla. She was a very special lady and my family will miss her. Though we only met her two years ago, she touched our hearts. Memory Eternal, Alla! I am also thankful for funerals. Alla’s funeral was this morning. We had a chance to say good-bye to Alla. I must have looked strange with tears in my eyes and a smile on my face. Supergirl didn’t quite understand what was going on, she would alternate between being sad “I’m going to miss Alla.” and being absolutely ecstatic because her godmother was there. We hadn’t seen her godmother in a long time. It warmed my heart and brought a smile to my face to see my daughter so happy. It’s been a sad day and a very happy day. Thankful to spend some extra time with a wonderful friend and thankful we had the opportunity to say one last good bye here on earth to a dear older lady. What are you thankful for today? Come join Brenda at Garden of Learning for her 2011 Gratitude Challenge. I decided to combine two challenges into one post. Partly because I am lazy and I do not want to do two blog posts today and partly because I want to challenge myself to see if I can connect the two memes. Today is November 4th. That means it would be my paternal Grandparents wedding anniversary today. I think they were married in 1933. (I think they celebrated 50 years in 1983). My grandparents were childhood sweet hearts. My grandmother didn’t remember a day in her life when she did NOT know my grandfather. They didn’t have an easy life together, but they were together until death parted them on October 29, 1984. I am thankful for my grandmother’s steadfast faith in God that carried her through until her death on May 16th 2008. I’m thankful for my Grandfather who understood how much I loved to travel. He called me his Travelling Tessie. And he knew how much I loved steak. The very last time I saw my Grandfather he handed my father some money and told him to “take his Tessie out for a nice steak dinner”. My grandmother was a writer. She cultivated in me a love of poetry. She encouraged me to read it. She encouraged me to write it. She encouraged my love of books in general. She was a born story teller and though she did not read aloud to me, she spent hours telling me stories. I am grateful for poetry books and audio books. Today we listened to Story of the World Volume 1 on CD. Jim Weiss is quite the story teller. Almost as good as my grandma <grin>. Tailorbear’s been listening to SOTW but today we all listened with her. We also listened to Focus on the Famlly’s Radio Theater version of The Horse and His Boy. We finally started disk 2. We haven’t been making it to piano lessons so we haven’t been listening to these CD’s. Daddy’s been reading to Supergirl. They finished Home Price and have started Mr. Popper’s Penguins. I’ve also started reading poetry aloud to her. I haven’t been reading poetry aloud for a long time. We also started a new bible story book. I’ll post more about that later. I’m reviewing it for Booksneeze. We haven’t finished the audio version of The Magician’s Nephew yet but we haven’t been listening to it either. Illness has made lunch hour more of a working lunch with students grabbing a bit to eat while they work to get caught up on school work. So today I’m grateful for my grandparents and for storytellers. I’m grateful for great literature that I can use to build memories with my daughters. What are you reading aloud to your kiddos? Check out Debra’s Reading Aloud Challenge over at Footprints in the Butter. What are you grateful for? Check out Brenda’s 2011 Gratitude Challenge over at Garden of Learning. For children play is work. Children learn through play. Ooka Island Books describes Ooka Island Adventure as “a downloadable hero-mission in 3D designed to teach young children how to read fluently and well.” From the website: “The OokaMethodTM combines phonological development and language-rich text with comprehension activities so that children have the opportunity to achieve effortless reading”. You can down a PDF Guide to Ooka Island Adventure by clicking here. Be sure and check out the FAQ’s for Ooka Island Adventure. The FAQs provide more information on downloading and installing the game, how the adventure works, requirements and more. I highly encourage taking the time to explore that page. 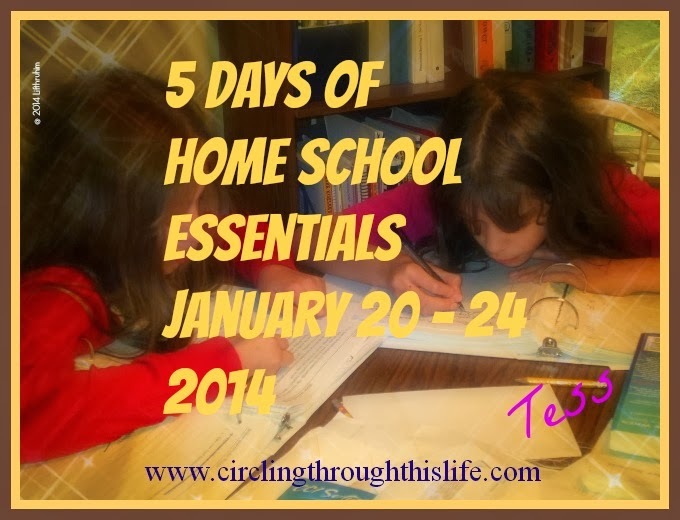 If you click here, you can find information geared for home schooling families. Thanks to the FAQ’s I learned how Supergirl can play the game in Full Screen Mode. This has been an amazing fit for Supergirl. I love how the game adapts to her level. She is challenged but loves the games. I like that it is guided play based on her learning followed by reading the book and then she gets 8 minutes of free play. She can choose to play a game that has already been unlocked or go to “pencil playground.” At the end of 8 minutes, if she is still logged in, the robot appears and takes her through another round of guided activities. She loves playing with the elves in pencil playground. Here’s Zobot with two elves. Ooka Island Adventure is intended for Pre-K through 2nd grade. Both family pricing and school pricing are available. Family pricing begins at $12.95 for one child with several options though 4 children for 1 year for $129.95. According to the FAQ page, if you are a home schooling family and wish to use this with 5 or more students, you need to choose school pricing. (for 5-30 students it is $20 per log in for one year.) Click here to view the pricing options. Ooka Island also offers a 14 day Free Trail. To begin the Free Trail process click here. Click on the banner below to read what my fellow crew mates had to say about Ooka Island All information is correct and accurate as of the date of this review. Disclaimer: As a TOS Crew member, I received a 6 month subscription/license free of charge to review. This review is my honest opinion with, hopefully, enough detail as to why I liked or did not like a product so that my readers can make an informed decision. I received no compensation.